This ticket allows general access to the Club MTV event that is a part of MTV Music Week - Plymouth 2019 on Saturday 8th June, 19:00 - 23:00. Wanna party with us? Don’t worry we’ve got you covered! On Saturday 8th June Plymouth Pavilions will host the biggest Club MTV party yet. Get your tickets now if you don’t want to miss out on some of the hottest names in dance music. Kurupt FM and R3WIRE & VARSKI will be performing, along with more acts to be announced soon! Please note that this ticket is only for the Club MTV event. To attend the other events that are a part of MTV Music Week, an additional ticket must be purchased to avoid disappointment at the door. 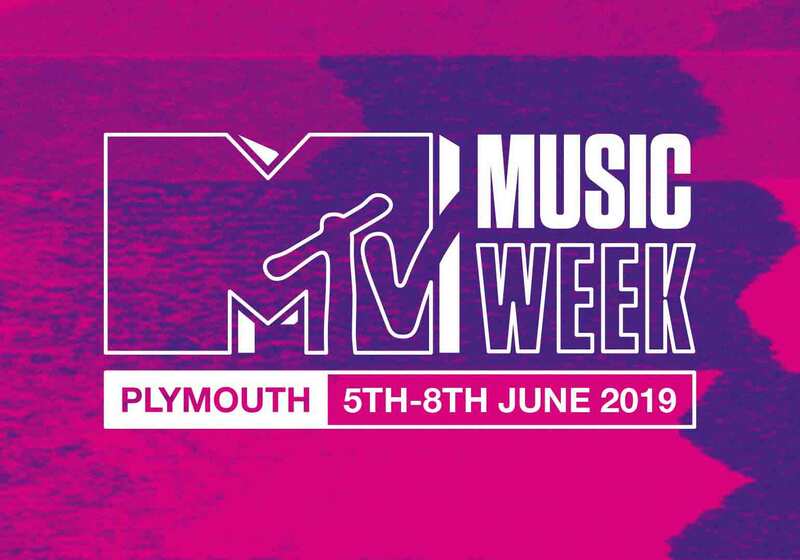 This ticket allows general access to the MTV Presents event that is a part of MTV Music Week - Plymouth 2019 on Thursday 6th June, 19:00 - 23:00. MTV Presents is heading to Plymouth Pavilions to bring you the best in live Rock and Indie music. MTV Presents will take place on Thursday 6th June, get tickets now if you want to rock out with us this summer! The Amazons and Pale Waves will be performing with more acts to be announced! Please note that this ticket is only for the MTV Presents event. To attend the other events that are a part of MTV Music Week, an additional ticket must be purchased to avoid disappointment at the door. This ticket allows general access to the MTV Push Live Launch Party that is a part of MTV Music Week - Plymouth 2019 on Wednesday 5th June at 20:00. Each month MTV showcases the hottest emerging talent as part of MTV Push live nights and on the 5th June will come to Plymouth to kick off Music Week in style! MTV Push will be hosting the official Music Week launch party at The Treasury with a selection of stripped back, exclusive live performances. Jvck James and Ray BLK will be performing, with more acts to be announced! Please note that this ticket is only for the MTV Push Live Launch Party. To attend the other events that are a part of MTV Music Week, an additional ticket must be purchased to avoid disappointment at the door. This ticket allows general access to the YO! MTV Raps event that is a part of MTV Music Week - Plymouth 2019 on Friday 7th June, 23:00 - 4:00. YO! MTV Raps: Plymouth is a one-off special live event show that celebrates unique style and sound, and reminds the rest of the world why Great Britain is currently leading the way when it comes to creativity in rap and hip-hop music today. The event will be filmed in Plymouth’s unique venue The Hub on Friday 7th June and will bring the UK’s finest together to perform, support and celebrate one another. Ghetts, Ms Banks and Young T & Bugsey will be performing, and Snoochie Shy will be hosting! Please note that this ticket is only for the YO! MTV Raps event. To attend the other events that are a part of MTV Music Week, an additional ticket must be purchased to avoid disappointment at the door. MTV Music Week heads to the city of Plymouth in England's southwest for four days and nights of live music, panel talks, workshops, artists interviews and more. With the full force of MTV's myriad brands on display – from Club MTV and Push Live to MTV Presents and YO! MTV Raps – the musical lineups across the four nights cover rock, rap, R&B, dance music and more. And by day, there will be a series of events exploring a wide array of aspects and issues in the music business, including social media, marketing, mental health, accessibility, practical skills, and insight from the industry's behind-the-scenes figures. Please note that all Daytime Events are free to attend, however, you must register here beforehand. The festival takes place in a number of venues across the city of Plymouth, in the south west of England.